"We are also now seeing key technologies reach a level of maturity that enables them to be used to better manage complexity while also increasing productivity and reducing costs." Supply chain complexity has been growing for years and several of these trends threaten to create even more complexity. Transportation is reported to benefit the most from digitalization in 2019. DHL prides itself on the proactive efforts to keeping customers happy through the use of automated solutions. Supply chain management trends come in all shapes and sizes, varying from year to year. What might work one year could potentially disrupt operations the next year. DHL, a leader in contract logistics, recently released a report highlighting the top four trends to look out for in 2019. The trends listed are specific to the North American regions and focus on the greatest impact. It’s no surprise that warehouse robotics made the top of the list for 2019 trends. The report references DHL’s very own distribution network as an example of how the technology will expand. “At DHL, we’ve taken a multi-vendor strategy to robotics that allows us to select the best technology for each application while using our scale to support multiple emerging solutions. 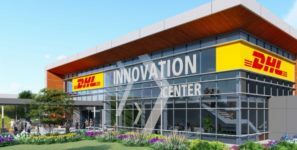 This will ultimately help broaden the range of solutions available to the industry,” Scott Sureddin, CEO of DHL Supply Chain, North America said. With constant news updates on tariffs and other trade-related policies changing at an unsettling pace, DHL stresses the importance of proactive supply chain planning and leveraging an evergreen market to build flexibility into operations. Additionally, the report references the use of cloud-based risk management solutions and supply chain modeling for consideration. DHL prides itself on the proactive efforts to keeping customers happy through the use of automated solutions in a time where the talent gap is substantial enough to become a challenge. The company has successfully automated their recruiting process as well as collaborated with colleges to promote the career opportunities available in supply chain management. Once again, proactivity is key. In short, transportation is reported to benefit the most from digitalization in 2019, providing industry resources and solutions to streamline transportation options and connections among shippers and carriers. The greatest advantage in digitalization is found within freight platforms that produce connectivity and efficiencies.